On May 20-21, 2017, the ABPMR Part II Examination was administered to 523 candidates. 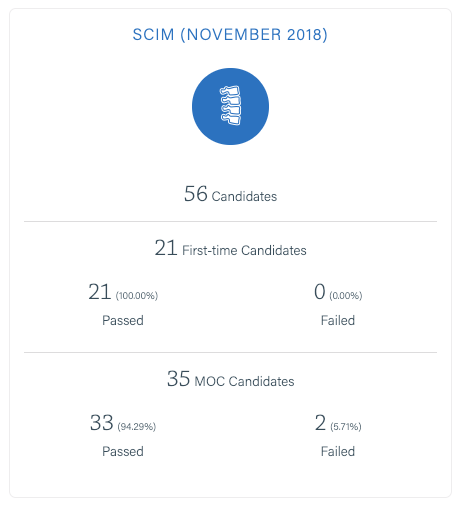 Of these, 451, or 86%, passed. 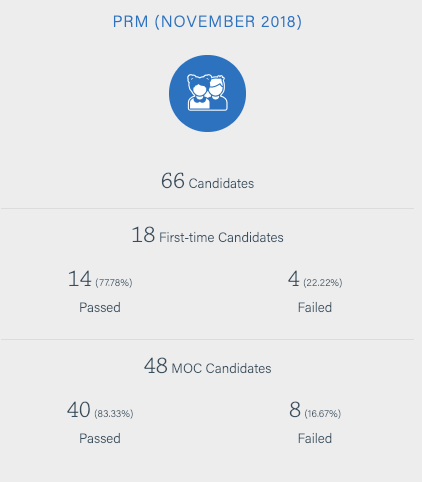 See the chart above for a breakdown of first-time versus repeat candidates, and a list of all those who passed below. 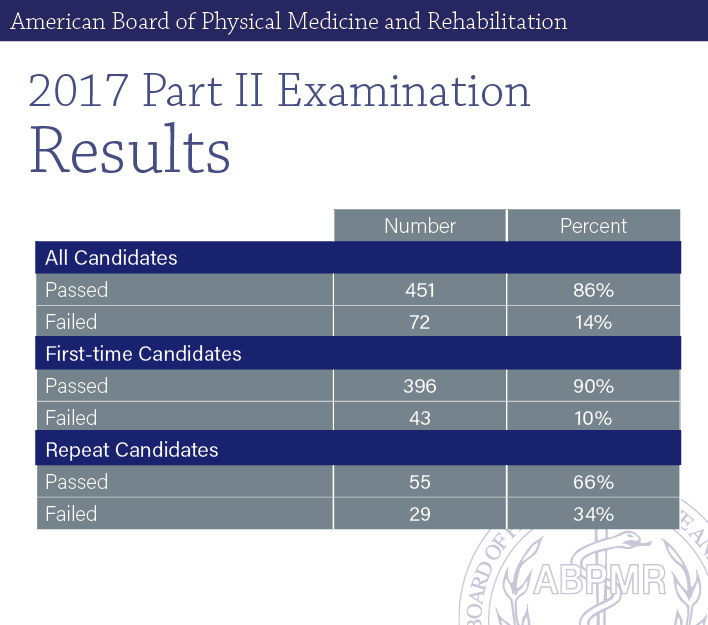 Congratulations to all the 2017 ABPMR diplomates!